Purpose defines you. What you do with that purpose redefines the world.Joey Reiman was told he might never move his hand again after a horrible, paralyzing accident in 1975. Refusing to accept this prognosis and give in to negative thoughts, all he wanted to do was move his thumb. If I could just raise my thumb,” Reiman thought, the rest will follow.” With this seed of what he now calls optimalism-believing that optimism creates optimal outcomes-Reiman did it. He gave himself a thumbs up.Now Reiman, the world’s leading purpose branding expert and motivational speaker, will share his belief system with you. 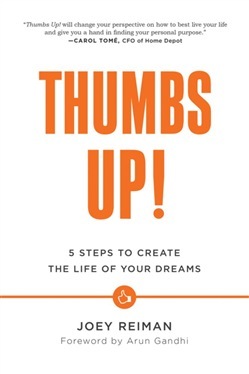 In Thumbs Up!, Reiman shows how five simple pointers will ultimately help you activate your dreams into actions. The secret to success is right at your fingertips. 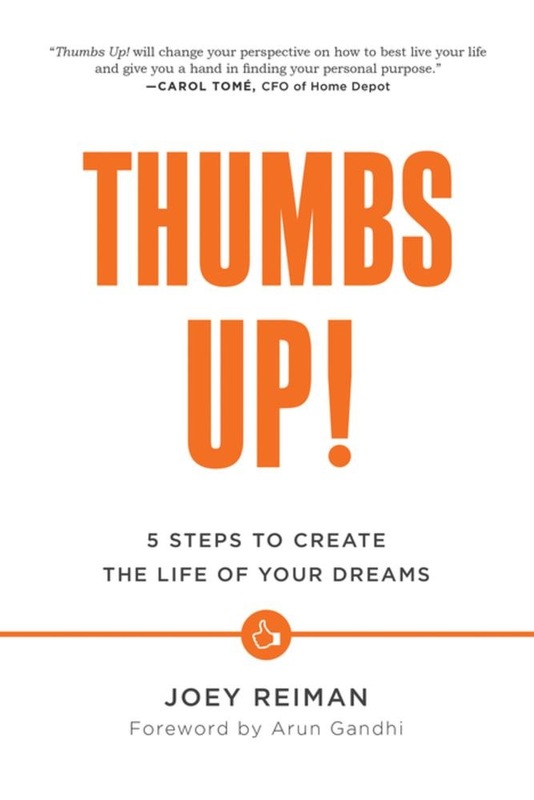 Your digits will guide you to:Give the world a thumbs upPoint to your purpose in lifeGive your middle finger to fearMarch forth to take actionRemember the little things that matterThumbs Up! is a how-to that focuses on looking up and rising up to all you imagined you could be and determining that a life of purpose begins in the palm of your hand. Start your journey of life to deeper love, more meaningful work, better health, greater wealth, and richer faith. Acquista Thumbs Up! in Epub: dopo aver letto l’ebook Thumbs Up! di Joey Reiman ti invitiamo a lasciarci una Recensione qui sotto: sarà utile agli utenti che non abbiano ancora letto questo libro e che vogliano avere delle opinioni altrui. L’opinione su di un libro è molto soggettiva e per questo leggere eventuali recensioni negative non ci dovrà frenare dall’acquisto, anzi dovrà spingerci ad acquistare il libro in fretta per poter dire la nostra ed eventualmente smentire quanto commentato da altri, contribuendo ad arricchire più possibile i commenti e dare sempre più spunti di confronto al pubblico online.